A friend of mine posted a Facebook Facecloth message, saying she is DJing tonight and has no idea what records to play, asking for tips on what “the kids” are listening to these days. The kids are listening to dance remixes of My Little Ponies themes tunes these days. And by “the kids” I mean twenty-year-olds. Just knowing this is agony. 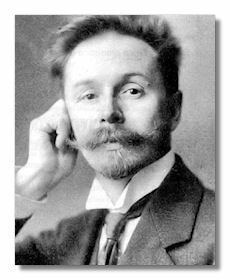 Let it here be noted that mention of Scriabin upon this website followed by a spell of boredom and curiosity on my part has caused a kindling in my brain pan of a love for the music of aforementioned eccentric Russian gent.